The rule of thumb for buying cat food says that you should pay attention not only to the ingredients but the order of the ingredients as well. If your cat isn’t on a medical diet, you should always search for food that has protein on top of its ingredient list followed by the other essential nutrients. This is the most important of all cat foods and should be in the ingredient list of all popular cat food brands. Many varieties of protein source exist such as chicken, lamb, turkey, salmon, etc. These may have alternate names such as chicken heart or chicken liver, but make sure there is a named protein source as it is a more digestible cat food with rich sources of taurine to keep your cat healthy. Protein is a must for cats, but they don’t require carbohydrates. However, carbs are not harmful to them either. That’s why veterinarians suggest carbohydrates as fillers. Your cat will need some dry food as an occasional snack. The food you choose may contain carbohydrates, but make sure it is not the primary ingredient. Ideally, you should pick sweet potatoes, potato starch, or green peas as they are the safest carbohydrates. Wheat and corn may be other alternatives, but your cat may be allergic to them. So, it is better to select the ones that are healthy for your cat. Similar to the named protein source, named fat source is also essential for your cat. An excellent fat source is chicken fat. They are readily available, but if you are looking for alternatives, you can try sunflower oil or any other oil that is suitable as cat food. Humans produce taurine naturally which is an amino acid. But cats don’t produce it naturally. That’s why it should be present in their food as a dietary source. It keeps their eyes and hearts healthy. Most cat food manufacturers add taurine as one of the essential ingredients. Minerals and vitamins are used as preservatives in cat food. Search for two essential vitamins Vitamin E (alpha-tocopherol) and Vitamin C (calcium ascorbate) in your cat’s food ingredient list. 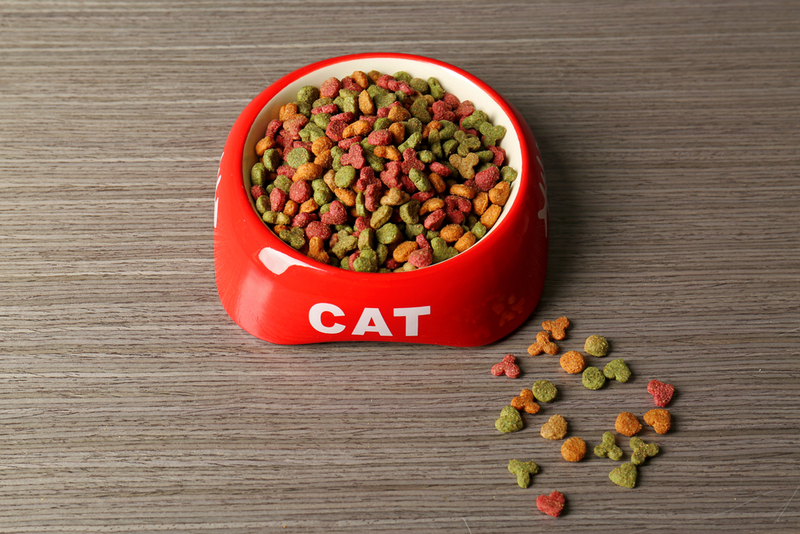 Many veterinarians and nutritionists believe that your cat will appreciate variety in their food. Just like you won’t eat pizza throughout the year for breakfast, lunch, and dinner, your cat will not like it if there is only a single variety of food for weeks and months. Canned food offers the right variety that your cat will enjoy. You can find both dry and wet cat food in cans. Again, look out for the ingredients and ensure that they have named protein source as the primary ingredient. Now that you are aware of the ingredients to look for in cat food, another tip you must follow is avoiding cheaper brands that sell these foods. Don’t hold down your expenses when it comes to cat food as their quality may affect your cat’s health.